“Fancy a Free Wax?” hahaha. An ad in our local paper. 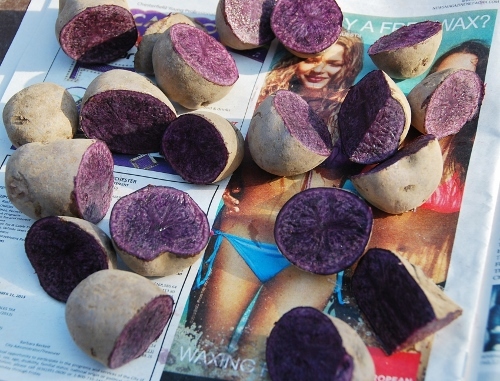 A good background for these flashy purple potatoes? Maybe because we just got back from the pool? Or maybe because…what better way to get ready for swimsuit season than by eating (and growing!) LOTS of vegetables?! We’ve never grown potatoes before. I’ve seen them grown in a tall pile; basically you just keep adding dirt on top of them as they grow, I think I will try a version of that. 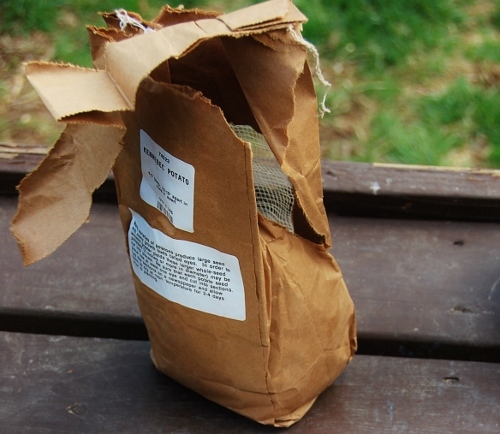 They are drying out at room temperature on newspaper…T-minus two days till planting! 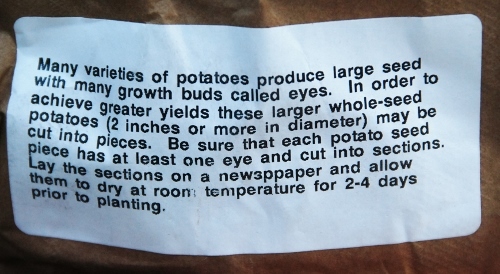 The potatoes (along with “Centennial” sweet potatoes, which have yet to arrive) were ordered from Gurney’s. This entry was posted in Food, Gardening, Humor, Simple Pleasures on April 8, 2014 by Spy Garden. Oh my goodness, those purple potatoes are gorgeous! I am anxious to see them growing in your garden! 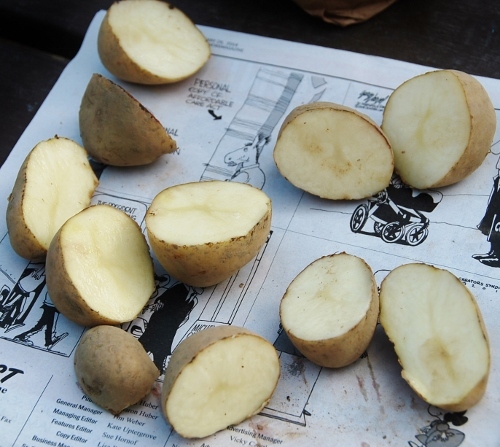 Good luck on growing potatoes! They are easier than you thinks to grow. I have seen the purple majesty potatoes before at a potato festival here. I have never tasted them though. I am curious if they taste just like a regular potatoe or if they have a mild or strong flavor that is unique to them. I guess I will have to wait until fall havest for you to tell me what you think. I’ve tried them before they taste like a regular potato but a tiny bit sweeter. Can’t wait to grow them!! Thanks for commenting!